Pasadena is a city located within the State of California. Pasadena is located within the Los Angeles County. Pasadena is a place of many cultural institutions and many research projects. The population is about 137 000 people. 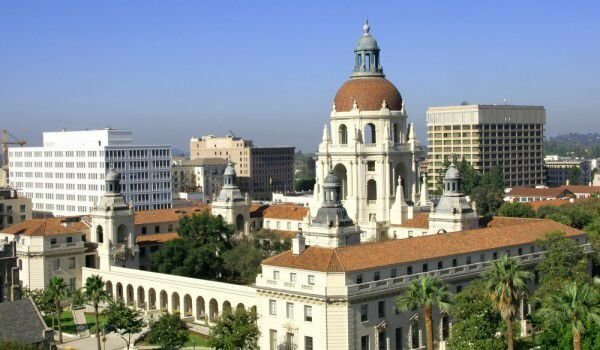 Thousands of years ago, on the territory which today is the city of Pasadena, lived tribes. It was inhabited primarily by the Tongva tribe. Now you can see the places where the Tongva Indians lived. They lived in dome shaped thatched houses. They feed on fruits, seeds and sweet roots, fished and went hunting for wild animals. Pasadena is part of a Mexican grant, which was called Rancho del Rincon de San Pascual, which was so named because it was donated to the Eulalia Perez de Guillen Marine Princess. The ranch covers an area, on which today are located Pasadena, Altadena and South Pasadena. Before being joined to California in 1848, the ranch was owned by Mexican Manuel Garfias. He sold parcels of the land to the first English settlers who arrived in the area. Much of the land was sold to Benjamin Wilson. He founded the mansion Lake Vineyard. Wilson, who was known as Don Benito, was the owner of Rancho Jurupa, which later became the city of Riverside, California. In 1873 Wilson was visited by one Dr. Daniel Berry Indiana, who sought a place with a good climate for his patients who suffer from respiratory diseases. Berry himself is asthmatic and claimed he felt fine after three nights at Rancho del Rincon de San Pascual. To keep his discovery a secret place, Berry called it Muscat- the name of the grape that Wilson raised. Berry formed the Association of citrus in southern California. Prior to 1890 mail was delivered in the colony of Indiana through Los Angeles. To be established a post office, the colony had to change its name as required by the postal service. So after many unsuccessful proposals, they came to the name Pasadena, which means "valley". The popularity of the area attracted many people from all over the country and the city began to grow at a very fast pace. In the eighties of the nineteenth century, Pasadena experienced a boom in real estate, and then turned into an expensive ski resort where the wealthy come primarily from the eastern part of the country. Adolphus Busch is attracted by the mild climate of Pasadena and created the first series of Busch Gardens. It opened in 1905 and closed in 1937. Until then, it was one of the main tourist attractions of Los Angeles. After the death of his wife, Bush donated the mansion to the city, but the management of the city refused this donation, an incident which has no explanation to this day. After World War II in the city appear companies whose business is based on high technology. American Academy of Dramatic Arts’ campus in Pasadena opened in 1974. In the seventies of the twentieth century, Pasadena was deserted by many families after the construction of the highway because they destroyed many homes. Crime is increasing, there are cases of murder ad organized crime is growing. In 1993 came the culmination of an era of crime when three teenagers were killed by the gang Bloods. The murder became known as the Halloween slaughter. In the early twenty-first century begins a new era in the life of the city. The city center is revitalized and life becomes more relaxed, which attracts more people in the area.